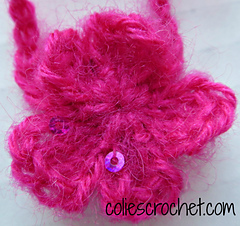 A friend’s baby wore a headband with a teeny tiny crocheted flower on it and I have been obsessed with the idea ever since. Not to mention that I am expecting my own little girl in a few short weeks. 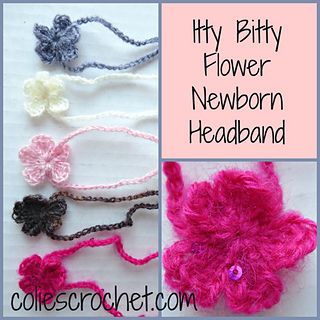 This headband is perfect for newborn pictures or for every day. It is made of a mohair/polyester blend and is soft and is comfortable for baby to wear. • Fine or Super Fine yarn. 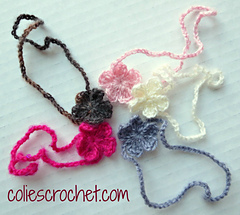 I used Patons Lace but any fine or super fine yarn will work. 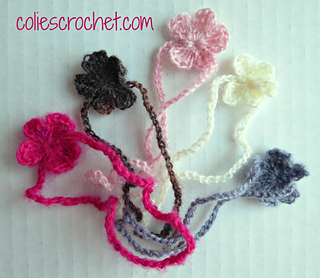 You could even use crochet thread. 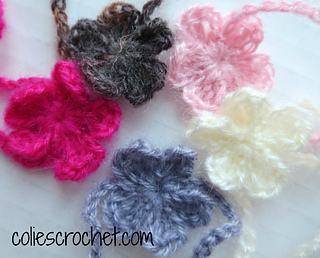 • If you are working with cotton yarn or thread, I would recommend adding 1-2” to the circumference of the headband since cotton doesn’t have as much stretch to it.